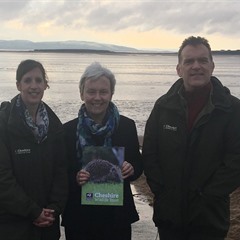 Wirral West MP Margaret Greenwood visited Red Rocks Nature Reserve in Hoylake recently where she met with Cheshire Wildlife Trust Director of Conservation Martin Varley and Area Manager Sarah Bennett to learn more about the important work the Trust is doing to protect and maintain unique habitats at the reserve and across the Dee Estuary. 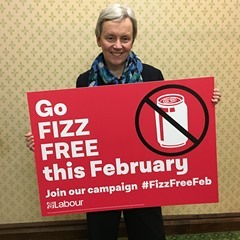 Margaret Greenwood MP is backing the Fizz Free February campaign to raise awareness of the negative health consequences of drinking sugary fizzy drinks. The initiative is part of a wider campaign to tackle the obesity crisis in Britain. 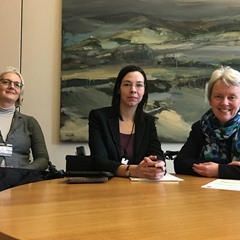 Wirral West MP Margaret Greenwood has met with disability campaigners in Parliament to discuss Energy-Limiting Chronic Illness (ELCI) and energy impairment – the preferred terms among people with long-term health conditions causing significant fatigue, energy limitation, pain and cognitive fatigue which cannot be mitigated by medical treatment, such as ME and Fibromyalgia. 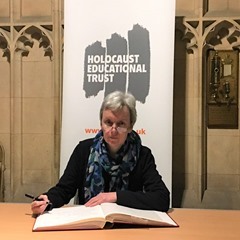 Margaret Greenwood has signed the Holocaust Educational Trust’s Book of Commitment. In doing so, the Wirral West MP pledged her commitment to Holocaust Memorial Day and honoured those who were murdered during the Holocaust. She also paid tribute to the extraordinary Holocaust survivors who work to educate young people today. 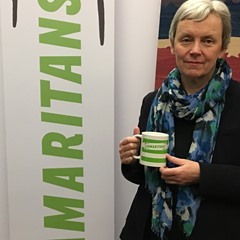 Wirral West MP Margaret Greenwood has attended an event in Parliament to support ‘Brew Monday’ – an initiative by Samaritans encouraging everyone to reach out to people who might be feeling lonely.